PetroVietnam Fertilizer and Chemicals Corporation (PVFCCo), a member of Vietnam National Oil and Gas Group (PetroVietnam), inaugurated its Cambodia office and signed three agreements with local partners on May 7. Almost 400 Cambodian and Vietnamese guests attended an inauguration ceremony in Phnom Penh on Friday evening including company chairman Nguyen Xuan Thang and Cambodian Deputy Prime Minister Men Sam An. Also present were senior trade and agriculture officials from the two countries as well as government officials and fertilizer distributors from 16 Cambodian provinces including major rice producers such as Battambang, Kompong Thom, Takeo and Kandal. In a keynote address, Mr. Thang thanked the Cambodian Government and government officials for their support in welcoming the Vietnamese company's investment in Cambodia, its first export market. "We look forward to continued support from the Government of Cambodia," he said. "At the same time, we hope that PetroVietnam and the Government of Vietnam will do their utmost to create a favorable business climate for Vietnamese companies investing in Cambodia, including PVFCCo." Cambodian Deputy PM Men Sam An said she hoped the new business would develop for the benefit of both the Vietnamese company and Cambodian farmers. "I strongly believe that PVFCCo will succeed and that its success will help sustain economic development by providing jobs, generating tax revenues and giving Cambodian farmers a good choice for agricultural fertilizer," she said. "In addition to increasing income, reducing poverty and promote harmony among farmers, the opening of the PVFCCo representative office is proof that foreign investors have more confidence in doing business in Cambodia." Vietnam's Deputy Minister of Industry and Trade Nguyen Thanh Bien, and Deputy Minister of Agriculture and Rural Development Bui Ba Bong also attended the ceremony along with Keo Sok Nay, Secretary of State at the Cambodian Ministry of Commerce. PVFCCo is Vietnam's largest fertilizer producer, accounting for almost half the country's urea market. The Phnom Penh representative office, its first sales and marketing office abroad, was established in December. Since then, it has been conducting urea trials with rice farmers in Kampong Chhnang and Battambang Provinces, aiming to boost crop yields to as much as 8.6 tons a hectare, up from the typical harvest of about 2.5 tons. PVFCCo general director Phan Dinh Duc noted during Friday's ceremony the long-term relationship between the Vietnamese and Cambodian people. "From the government policy point of view, we hope to contribute to the ties between the two countries with future progress, especially in the fields of economy and agriculture," he said. "Hopefully, Cambodia will one day become one of the world's leading rice exporters." Vietnam is now the world's second largest rice exporter after Thailand, with exports of 6 million tons last year. 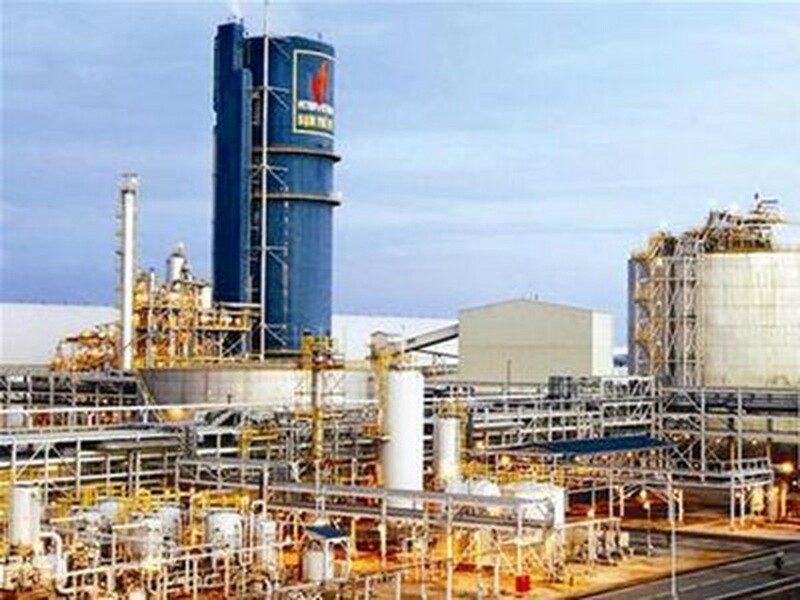 The company's leading product, Phu My Urea, is named after the Phu My Fertilizer Plant, a US$370 million facility in Ba Ria - Vung Tau Province bordering Ho Chi Minh City. The plant was built by French engineering company Technip and South Korea's Samsung Engineering, with the Vietnamese company acquiring full control of the facility in 2004. After Friday's ceremony, PVFCCo deputy general director Nguyen Hong Vinh signed a memorandum of understanding with the Department of Agriculture in Battambang Province. The memorandum covers sponsorship for training programs on rice cultivation techniques and effective fertilizer use. He also signed a contract with Vietnam Rubber Group, which already has a representative office and a subsidiary in Cambodia. The contract covers the supply of Phu My Urea to the group's plantations in Cambodia. Ms. Doan Thi Nhu Mai, director of PVFCCo Trading Company Limited, a wholly-owned subsidiary, signed a separate contract with Baitong (Kampuchea) Private Limited Company, a fertilizer distributor based in Battambang. The company's regional trading subsidiary in Can Tho City in the Mekong Delta also plans to expand gradually into the Cambodian market. PVFCCo announced earlier this week that it plans to establish a subsidiary in Cambodia this year to import urea directly from Vietnam. During Friday's ceremony, Cambodian Deputy PM Men Sam An received a donation of 25 tons of Phu My Urea for farmers in Prey Veng Province and a further 25 tons for farmers in Svay Rieng Province, from PVFCCo.